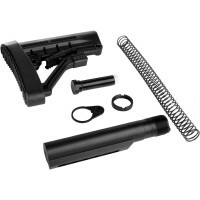 AR-15 300 AAC BLK 10.5" Nitro-Met Quadrail Upper Assembly with Socom Style Brake, Left Hand -is a perfect addition to your AR-15 build. All you need is a case of ammo to change your standard AR 5.56 to a new 300 Blackout upper.Assembly Features:Chamber - 300 AACBarrel Twist - 1x8Barre..
AR-15 300AAC Blackout 16" Spiral "Black Shark" Upper Assembly in Left Hand. Created by Moriarti Armaments. CA and NY compliant. Picture shows right hand variation - this upper comes in Left Hand upper receiver for a Left Hand shooter.Action: Semi-auto Gas System: Carbine Length Gas Sys..
AR-15 300 AAC BLACKOUT 16" stainless steel diamond fluted upper assembly, Left Hand. This is a perfect upgrade to your AR-15 Rifle. 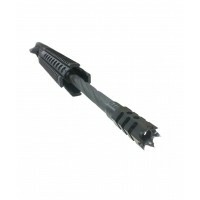 300 blackout caliber uppers use your standard .223/5.56 bolt carrier groups and magazines! 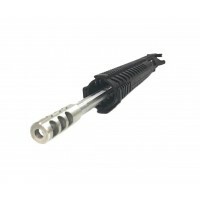 No special bolts or magazines to buy to get into a new caliber!Barrel&nb..
AR-15 300 AAC blackout 16" stainless straight fluted upper assembly, Left Hand. Perfect addition for our Left Handed shooter to switch into 300 AAC caliber. Fits virtually all AR-15 lower receivers. 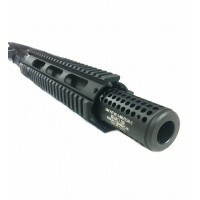 All you need is the ammo, drop this upper onto your lower, and go out and have fun.Barrel - 16" 416 s..